The Public Protector presented an overview of the 2016/17 Annual Report for her Office. Within ten days, the Office of the Public Protector would celebrate 22 years since its inauguration and the current Public Protector would be celebrating 365 days in office. Highlights in the previous year had included the finalisation of 10 787 cases out of a total workload of 16 397 cases. Nearly 50% of the matters finalised were upheld. Only 17 reports had been published in the previous year as the overwhelming majority of matters finalised were what the Public Protector Office called “bread and butter” issues which did not result in formal and published investigative reports. Four reports, three on national departments and one on a municipality, had been taken on judicial review and were dismissed with costs. Over 5000 people were helped to exact accountability from the state and to vindicate their rights. 803 community outreach clinics had been held when the Public Protector had embarked on a nationwide tour of provinces to introduce herself - some of the cases had arisen from interactions during that tour. Asked what lessons she had learnt from the Absa case, she stated that she understood that, since the Nkandla judgement, all Public Protector Reports became binding and were not just recommendations as was the case with the reports of other Ombudsmen. The Auditor General had given the Office of the Public Protector an unqualified audit with findings. There was material uncertainty of the Office as a going concern as it had incurred an accumulated deficit of R24 million in 2016/17 while liabilities exceeded assets by R28 million. There were also several misstatements in its reports including a misstatement of a target achievement which was 59% and not 82%. Sufficient evidence could not be given for the reported achievement on media engagement. Effective steps had not been taken to prevent irregular expenditure amounting to R22.8 million. Contractual obligations and money owed by the constitutional institution were not being settled within 30 days as required by the PFMA. Some of contracts had been extended or modified without the approval of a properly delegated official. The financial statements prepared for auditing were not prepared in accordance with the prescribed financial reporting framework. Although an action plan had been developed to address audit findings, adherence to the plan was not adequately monitored by management to prevent non-compliance. The annual performance report and financial statements contain material misstatements due to lack of supervision and review. Members were generally concerned about the audit report, the misstatements, and the deficit which saw liabilities outweighing the assets, and overspending despite austerity measures. Members insisted that the consequence management plan had to be taken seriously, including the internal audit and non-compliance with legislation. The previous CFO had left the institution as he had been outsourcing his own work to a consultancy. The Public Protector explained that much of the over-expenditure had been incurred by the previous Public Protector before she had left office in 2016. The Public Protector’s Office had made a request to National Treasury for an additional R884.8 million for the Medium-Term Expenditure Framework from 2018/19 to 2020/2021. The main requirement for the additional funds was for the compensation of employees resulting from the Occupational Specific Dispensation review that had been conducted. Implementation was essential as it would deal with the low morale in the Office. The Public Protector’s catering costs had risen from R0.4 million to R1.3 million. Consultancy and professional fees had increased from R1,5 m to R5.2 million and domestic travel had gone from R2.9 million to R7.3 million while foreign travel had gone from R0.9 million to over R2 million. Members could not understand those increases in the light of the austerity measures. Several Committee Members expressed serious concerns about the financial state of the institution, especially as liabilities exceeded assets. The status of the State of Capture Report was discussed and it was noted that Public Protector Mkhwebane had clarified that a judgement had determined that the remedial action did not need to be suspended while the case was under review. In the Annual Report foreword, she had written that alleged manifestations of State Capture should be dealt with swiftly by way of a judicial commission of inquiry as the issue was proving to be a setback, polarising society, and could spell potential disaster for the country’s democracy. Some of the Members bemoaned the slowness of the appropriate institutions to act. The scathing judgement on the Public Protector in the Judicial Review in the CIEX ABSA matter was raised and some members of the Committee were genuinely angered by the fact that the Public Protector had suggested remedial action that instructed the Committee and its Chairperson, as well as Parliament, to amend the Constitution. They were furthered angered by her temerity to initially oppose the judgement. Her motives and the source of her legal advice were questioned. However, other Committee Members pointed out that the judgement was a setback but that the matter was a political matter that had to be pursued. The eyes of South Africa had been opened about the Reserve Bank and decisions had to be made as to whether anything was to be done about the Reserve Bank and the role that it may have played in Apartheid activities. One Member asked whether State Capture had taken place before 1994 or after 1994. The absence of the Deputy Public Protector was questioned. A number of Members of the Committee rose to her defence and offered her support in her work as the Public Protector. Her work amongst communities in the rural areas drew particular praise. The Acting Chairperson welcomed the Public Protector and her team and invited her to present the Annual Report. Adv Busisiwe Mkhwebane, Public Protector South Africa, presented an overview of the Annual Report for 2016/17 for her Office. Within ten days, the Office of the Public Protector would celebrate 22 years since its inauguration and the current Public Protector would be celebrating 365 days in office. Highlights in the previous year included the finalisation of 10 787 cases out of a total workload of 16 397cases. Nearly 50% of the matters finalised were upheld. Over 5000 people were helped to exact accountability on the state and to vindicate their rights. Only 17 reports had been published in the previous year as the overwhelming majority of matters finalised were what the Public Protector’s Office called “bread and butter” issues which did not result in formal and published investigative reports. Four reports, three on national departments and one on a municipality, had been taken on judicial review and were dismissed with costs. Five of the reports from the Public Protector’s Office were under judicial review. Staff morale and training was being addressed. The Public Protector was pleased with her modest achievements as certain quarters of society had directed sustained and unwarranted attacks on her Office. 803 community outreach clinics had been held. A significant portion of the 9 563 new complaints had come from that initiative. The Public Protector had embarked on a nationwide tour of provinces to introduce herself and some of the cases had arisen from interactions during that tour. The backlog of cases was being resolved. The Public Protector reflected on the concerns that the Office had utilised too many consultants. She explained that it was more cost effective to engage actuaries and other professionals only when needed, and that IT services from SITA, as well as Microsoft, had been included in consultancy fees in the financial statement. The cost to establish an internal audit function would be R3,5 million as compared to the outsourced internal audit function which cost R1,4 million. The main reasons for uncontrolled case backlogs were the absence of an electronic case management system and delays by the organs of state in providing information and/or availing themselves for meetings. The CEO of the Public Protector’s Office, Themba Dlamini, presented the Performance Report and details of performance indicators as contained in the Annual Report. A strategy to drastically reduce cases older than one year was implemented and there had been a 77% reduction in cases older than one year as at 1 April 2016, while cases that were older than two years had been reduced by 62%. Out of 18 targets, only 52% were achieved. The Access goal of holding 72 clinics per province, i.e. 648 clinics, was exceeded as 784 clinics were held across the country. The targets for Prompt Service were not well achieved. The target of resolving 100% of all cases two years and older, was not met as the backlog was reduced by only 61%. Only one out of 16 systemic investigations was finalised. 82% of cases were resolved in line with approved investigation plans and 84% of remedial action matters were followed up. Efficiency goals were achieved but the target of a clean audit opinion was not achieved. Influence targets were largely achieved. 11 targets were set for the first Quarter 2017/18 and the only target not met was the adherence to investigations service standards. The institution had identified the Health Ombudsman as the Ombudsman with whom the Public Protector’s Office would enter into a bilateral agreement. The Acting CFO presented the Financial Report for 2016/17. The Public Protector’s Office had requested permission to carry over cash surpluses as the 2017/18 budget was inadequate for the needs of the institution. Expenditure on compensation of employees during the First Quarter of 2017/18 exceeded the average threshold of 25% and was expected to increase during the Second Quarter with the implementation of the realignment of salaries of Investigators and Senior Investigators. Audit fees would be paid in the Second Quarter, as well as invoices for legal services to the value of 3.4 million. The Auditor General had given the Public Protector’s Office an unqualified report with findings. Material uncertainty related to the Public Protector’s Office as a going concern. The institution had incurred an accumulated deficit of R24 334 660 during the year ended 31 March 2017 while the liabilities exceeded its total assets by R28 649 967. Irregular expenditure in the amount of R4 242 012 was under investigation. There were also several misstatements in the Report, including a misstatement of a target achievement where evidence indicated that the achievement of the target was 59% and not 82%. Sufficient appropriate audit evidence could not be given for the reported achievement of media engagement. In terms of expenditure management, effective steps were not taken to prevent irregular expenditure amounting to R 22 892 009. Contractual obligations and money owed by the constitutional institution were not settled within 30 days. Some contracts were extended or modified without the approval of a properly delegated official. The financial statements were not prepared in accordance with the prescribed financial reporting framework. Although an action plan was developed to address external audit findings, adherence to the plan was not adequately monitored by management to prevent non-compliance which could have been prevented had compliance been properly reviewed and monitored by management. The Annual Performance Report and financial statements contained material misstatements due to a lack of supervision and review during the process of compiling the annual performance report and the financial statements. The CEO presented an audit action plan to attend to the matters raised by the Auditor General. A number of cost saving measures had been implemented, including reducing travel costs from R9.5 million to R6.2 million. The Public Protector’s Office had made a request to National Treasury for an additional R289 449 712 for 2018/19 and a total of R884 863 727 for the MTEF 2018/19 to 2020/2021. The Office had an establishment of 707 positions, of which only 392 were funded in 2017/18. The Office required additional funding of R746 474 926 in the medium-term to fully fund the organisational structure. There was a need to implement job evaluations done during 2016 for administrative personnel and to realign investigators’ salaries in line with the OSD requirements from the Department of Public Service and Administration to avoid CCMA and court battles and staff discouragement. The PPSA had started with the implementation of its Case Management System in 2016 but an additional R26 945 680 was required for support and maintenance in the 2018 MTEF. An additional R18 million was required over the medium-term to fund litigation costs. 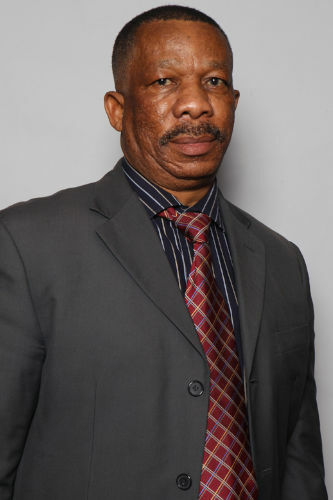 Provincial and regional offices had no security in place and the cost for security was estimated at R12 800 000 in 2018/19 and R3.3 million and R3.5 million in 2019/20 and 2020/21 respectively. Video conferencing facilities were required. The cost of subject matter experts including actuaries, procurement experts, forensic specialists built environment specialists and IT specialists was estimated to be R 31 700 800 over the medium-term. Mr M Maila (ANC) started with the audit findings. He stated that the Committee could live with an unqualified report but it actually sought a clean audit. His fears were assuaged by the action plan to deal with matters arising from the audit opinion. He asked whether there were matters recurring and, if there were, why had they not been dealt with in the previous financial year? He referred to the case of the Reserve Bank v Public Protector where the remedial actions in the Public Protector’s Report had been set aside. What lessons had been learnt and what could the Committee expect going forward? In the State Capture Report, were any external service providers appointed in the compilation of the report? The outreach meetings satisfied him. Adv S Swart (ACDP) referred to the financial statements and noted that, as was the case with the previous Public Protector, the Auditor General was concerned about the insolvency of the Public Protector’s Office. The Public Protector had tried to explain the deficit but it was obviously a serious matter. It related to funding, but the Auditor General had a concern about the institution being a going concern. The request for additional funding was understood, but the financial position was a concern. Adv Swart said the Public Protector had indicated that one of her concerns was the victimisation of whistleblowers. Parliament had approved certain amendments to the Public Disclosures Act that protected whistleblowers. He asked for comment on the amendment that there was a possibility of criminal sanction for the whistleblower who provided any information that the whistleblower ought to have reasonably known to be false. Civil society believed that sanction had a chilling effect on whistleblowers. He wanted to know whether the Public Protector had experienced that as well. His third question dealt with the State of Capture Report, part of which was subject to litigation. In the Foreword of her 2016/17 Annual Report, the Public Protector had referred to the blurred lines between the State and the political party. What was meant by “the” political party? Which political party was that? One would presume that the reference was to the majority party. Adv Swart quoted from the Annual Report: “Alleged manifestations of State Capture, a serious matter which should be dealt with swiftly by way of the judicial commission of inquiry in line with the remedial action as encapsulated in the State of Capture Report. It is concerning as the issue is already proving to be a setback polarising society and could spell potential disaster for our democracy.” He asked the Public Protector to embroider on that. What exactly was meant by that sentence? He asked for her reasoning on why she thought it should be dealt with swiftly by a means of a judicial commission of inquiry. Whilst he appreciated that an aspect of the State of Capture Report was the subject of litigation, he was also aware that in paragraph 8.11 of the Report, the Public Protector in terms of section 6(4)(c)(i) of the Act had brought to the attention of the NPA and the Hawks all those matters identified in that report where it appeared that crimes had been committed. He was sure that the Public Protector would agree that there was nothing to prevent the institutions of criminal investigation and prosecution proceeding at the present stage. He asked to what degree the Public Protector was engaging with the NPA and the Hawks as per paragraph 8.11 of that report. A month previously, and the previous day, the Committee had received a briefing from the NPA regarding progress in that matter. In Adv Swart’s view, it seemed to be taking far too long and he was sure that she would agree that far more could be done to investigate those matters where there was prima facie evidence that crimes had been committed. Adv Swart stated that the Committee had been deeply shocked by the Public Protector Report on ABSA where the Committee had been instructed to amend the Constitution, and certain wording was given. It was clear that the Court had made a judgement on that specific aspect of the remedial action but the Public Protector had initially lodged an appeal. She had eventually conceded the points, but what kind of legal advice had the Public Protector received to instruct this Committee, the Chairperson and Parliament to amend the Constitution? The Speaker of Parliament had instituted a review action and if one looked at what the Judge had said, it was shocking. He had said that the Public Protector’s explanation and begrudging concession of unconstitutionality offered no defence for the charges of illegality, irrationality and procedural unfairness. It was a scathing judgement on the Public Protector’s Report. It was deeply concerning and deeply disappointing. The Public Protector was accountable to the Justice Portfolio Committee and to Parliament and so an explanation was required on why she instituted that remedial action against Parliament and other institutions. He was sure that she would follow the Court’s recommendation to reflect more deeply on her conduct of that investigation. She had been criticised by the Governor of the Reserve Bank and the Speaker of Parliament. It was a very serious issue. He had been sympathetic towards her litigation costs in the past but now she had to pay the cost of senior counsel for all the respondents for an ill-advised remedial action finding. How could the Committee be sympathetic to the request for more funds when it seemed that her decision and Report against the institutions, including Parliament, was irrationally brought? Mr W Horn (DA) noted that on financial performance, it was deeply concerning that the ballooning of the accumulated deficit had taken the Public Protector’s Office back to where it had been two years previously. Everything clawed back in 2015/16 had been lost in 2016/17 and the achievement of performance targets had dropped from 63% to 52%. While the Committee took note of what the Public Protector had requested for finances, the Committee needed to be told why it should support requests for more funds when targets had not been met. There had been prior savings in travel, but in 2016/17, there was a huge increase in local travel and catering expenses. The Committee had to decide how to evaluate that in light of the fact that the Public Protector’s Office said that it had austerity measures in place. One of the two core mandates of the Public Protector was to deal with maladministration, and so the Committee had to have an explanation as to why there was fruitless and wasteful expenditure in 2016/17. In terms of CCMA cases, more than R1 million was spent. Fruitless and wasteful expenditure did not add any value so how could that have happened in the Office that was meant to protect the public from maladministration? How could it have happened at the Public Protector’s Office? Mr Horn moved on to targets. According to the Public Protector’s Report, 82% of the investigations were handled in terms of an approved investigation plan. He asked for an explanation for the difference between the Public Protector’s Report and the Auditor General’s finding that 59% of investigations had taken place according to an approved investigation plan? What measures were in place to ensure credibility in following the investigation plan? According to the Report, 27% of complaints were not upheld. However, MPs had received complaints that the Public Protector had not given due consideration to complaints. Perhaps complaints were not presented in an eloquent manner. He asked how many investigations had been completed but the relevant reports had not yet been finalised. What was the timeframe between completion of investigation and the completion of the report? He cited the example of the Vrede Dairy Project in the Free State where the investigation had been completed but no report was forthcoming. He referred to the remedial action in the ABSA CIEX case and asserted that the public had lost confidence in the Office of the Public Protector. The public trust and confidence in the Public Protector was a vital element of the constitutional democracy. He noted that she had referred, in the presentation notes, to unwarranted attacks on the Public Protector. Could it ever be acceptable for a Public Protector to say, as way of an explanation, following a report that had taken years of investigation and had impacted on the economy, that there had been no intention to instruct Parliament? It had been intended as a recommendation, and the whole thing was a typo. Mr N Matiase (EFF) stated that the mood was the same across the benches of the Members. In the last appearance, the Committee had welcomed Public Protector and had wanted to approve additional funding but all had changed since then. He agreed, in the main, with Adv Swart. It was very difficult to be sympathetic with her about her request for additional funding given the scathing findings by the Court about her Office. She had bungled on a whole range of issues. He felt that the Public Protector should resign. Even an apology would not salvage the reputation of the Public Protector’s Office. The Chairperson asked Mr Matiase to address matters on the agenda. Mr Matiase noted that the previous Public Protector had done her level best to bring expenditure under control but expenses had ballooned in 2016/17 and irregular expenditure, and fruitless and wasteful expenditure, had gone ballistic. The fact that the Attorney General had concerns about the Public Protector’s Office operating as a going concern has serious reputational damage to the Public Protector. What inspiration could the Committee, government or members of the public draw from the Public Protector’s Office which should be a paragon of respect and correct financial behaviour. The CIEX ABSA matter had been bungled. She could have secured so much money to provide for free, quality education. A broad sector of society could have joined the Public Protector to demand that ABSA pay the debt, but she was on her own as a result of her bungling. Maybe it was a lack of capacity in the Office. Judging her from a distance, Mr Matiase said that she appeared to be someone that one could trust. Mr Maila raised a point of order under Rule 66 of the Rules of Parliament which stated that no Member should reflect on the character of an office bearer whose removal was dependent on the House. The EFF attack was an attack on the character of the office bearer. Adv Swart informed the Chairperson that he had complained and raised the same point of order when Adv Madonsela was attacked in a similar way in years past but the point of order had been turned down. The Committee had to be very careful when applying that rule. His colleague in the EFF had commented favourably on the Public Protector so he did not know what point Mr Maila was making, but he did ask the Chairperson to bear in mind the history of that Committee when Adv Madonsela was continually attacked. Mr Maila stated that Adv Swart was agreeing with him that it was wrong to attack a person’s character, but because it was done by someone else it was right. Adv Swart complained that Mr Maila was putting words in his mouth. The Chairperson cautioned the EFF member and asked him not to attack the character of the Public Protector. Adv G Breytenbach (DA) interjected but was asked by the Chairperson to be orderly. She responded that she was asking the Chairperson to be orderly and did not want to be told to be orderly. Mr Matiase continued by asking why the Public Protector treated Members of Parliament and the public with such disrespect. When was he going to get a reply to his correspondence? He had raised a matter about the DA government in the Western Cape. When was he going to get a reply? He had written three letters. If he were treated with such disrespect, how were citizens treated? He was trying to do his function of oversight but he had no recourse when she refused to reply to his letters. Was the ordinary citizen subjected to that kind of treatment? He asked her to be courteous and to reply. He noted that the Deputy Public Protector Malunga had cancelled a whole range of investigations. What corrective measures was she taking and was there anything for which the Deputy Public Protector had to answer? She should deal with it promptly and take the public into her confidence. He wanted a response to the allegations that Adv Malunga was facing. Adv L Mpumlwana (ANC) told the Public Protector that he was there for her. She was in a position apart and with the limited resources that she had, she could not satisfy all. The role of the Committee was to assist her in her work but there were different people in the Committee with different interests. Many departments had received qualified reports or disclaimers from the Auditor General’s Office but Parliament had tried to assist them to do better as they were all part of government. The Members of the Committee were public representatives and worked as a team with the departments to ensure that good service was provided to the communities. He said that she should remain cool. Adv Swart, requested, on a point of order, that Adv Mpumlwana not comment on the Public Protector’s personal attitude and state of mind. Adv Mpumlwana stated that the Public Protector had touched certain people and therefore, according to them, she should be pushed out. When he looked at the Annual Report objectively he noted that people talked about small things that were not important. Perhaps she would be encouraged to do better on finances. The Office of the Public Protector was not the worst and was better than many. The work that she had done and how she reached targets was worthy of a distinction. It was clear what she had achieved in reducing the number of backlog cases. He wanted to encourage her to do better. On the question of language, she had touched people who were most vulnerable, the illiterate in the townships and in the rural areas. He warned her that certain people or political parties wanted her to do what they wanted. He reminded her that her duty was to serve the public as the political parties had their own agendas. He complimented her on being a very good public protector. He asked how much damage had been done when her office roof had caved in and whether it had affected her work. What damage had been done by the water? Was it accidental and what had happened? Adv Breytenbach asked where the actual CFO was. If he had been suspended, why? Why was the Deputy Public Protector not present? Where was he and what were his functions in the Office of the Public Protector? His functions used to be mainly mediation and early dispute resolution. Was that still the case? Despite the Public Protector’s protestations about using PR consultants, she noted that the Public Protector was now using consultants, including PR consultants. To what end was the Public Protector using PR consultants? Why was it necessary? In the ABSA case, she had ordered the Chairperson of the Justice Portfolio Committee to change the Constitution and went so far as to set out how the amendment should be worded. Initially, she had opposed the court review application but later, rather prudently, conceded. Who had provided such disastrous legal advice and why had she taken that advice? In her interview, she had said that she was passionate about the Constitution, so why did she include that recommendation in her Absa Report? Why did she initially consider opposing the judgement while agreeing that her remedial action was unlawful and that only Parliament had the power to amend the Constitution. The Public Protector had no power to dictate to Parliament. Could she please explain how it came about that she had even considered opposing the application? She had instituted austerity measures in the Office, which was always a good thing when dealing with taxpayers’ money, but expenditure had increased in some line items. Her catering costs had risen from R424 000 to R1.3 million. How did that happen and why? Consultancy and professional fees had gone from R1.5 m to R5.2 million. Could she explain that? Domestic travel had gone from R2.9 million to R7.3 million. What were the reasons for that? Foreign travel had gone from R900 000 to over R2 million. How did the cost of internal travel and foreign travel exceed the budget so badly? In early 2017 the provisional CIEX report was leaked. How did the leak occur? Was it investigated and what was the outcome of the investigation? The provisional report appeared to be sign by the Public Protector in December. Had she signed it and, if so, why had she signed the Provisional Report to the President? The report was a disaster, grammatically and structurally. Had she sent the report to the President under cover of a letter on 16 December 2016? If so, why was the complainant and affected parties not included in the circulation of the report? What was the purpose of sending preliminary reports to interested parties? Ms M Mothapo (ANC) asked the Public Protector why her Deputy never accompanied her to Parliament. There had not even been an apology that morning. Her concern was about financials and the audit opinion. When the Public Protector was last before the Committee in October 2016, the Committee had emphasised the point about a clean audit and the Public Protector had talked about good governance. Her advice to the Office of the Public Protector was to lead by example. It had to show integrity. She was aware that there was a deficit in 2015/16, but it was now R28 million. She had told the previous Public Protector that the liabilities had exceeded the assets and so the institution was technically insolvent and so she had told her that the institution needed to be put under administration but Adv Swart had strongly objected. The institution had to obey legislation. It had to be noted that PFMA and National Treasury guidelines demanded that creditors be paid within 30 days, but there had been a serious omission there. The Auditor General Report had indicated a strong showing of red flags in the report on the Public Protector’s Office. The consequence management plan had to be taken seriously, including the internal audit, non-compliance with legislation, etc. Ms Mothapo noted that normally after an investigation, the provisional report of the Public Protector was sent to the parties. What remedies were available when, as in the present case, a Member of the House had leaked the report [on alleged violation of the Executive Ethics Code by the Minister of State Security] to the media. A number of reports had been leaked. Those concerns had been raised with her predecessor. Ms Mothapo said that the Auditor General had changed the Office’s reported percentage of media engagement. What systems had been used to determine the media engagement? The dissatisfaction of personnel had come from previous years. Could the Public Protector comment on the organogram as it was creating serious challenges? The Public Protector was requesting R1 billion. Members had tried to unpack it, but when looking at the over-expenditure, how should the Committee reconcile the two? She understood that 20 cases were subject to review and additional funds might be required. However, she needed the Public Protector to expand on the request for R1 billion. Adv B Bongo (ANC) thanked the Public Protector for the presentation. For the first time he had been able to interact with a readable report. He had seen on television that she had experienced attacks on her house and office. Could she share with the Committee the extent of the damage to information in the office? Members kept raising the Deputy Public Protector. It was a well-known fact that the Deputy Public Protector had been appointed by the Committee and Parliament and so it was the Public Protector who should be asking the Committee about the issues with the Deputy and how far Parliament was in dealing with this. On the matter of financials, he gathered that the implementation of the Occupation Specific Dispensation (OSD) had caused the personnel budget to balloon. He congratulated the Public Protector on the stakeholder forums in the rural areas. People felt that the Public Protector would attend to their concerns. It was commendable that the backlog of cases had been reduced. That had helped over 5 000 people. He asked what support she required from Parliament, especially in the light of the leakage of a report by the DA. Some actions had been taken, but how could Parliament assist with such matters. A Member had previously raised the matter of language and the Committee appreciated that it had been addressed. He asked about office rental. Had the Public Protector considered buying a building because the rental was exorbitant and a purchase would save money? Alternatively, she could renovate a government building. He did not doubt that she needed the money. He liked the categorisation of how additional money would be used, as well as the planned reduction of costs. It was positive and the Committee should consider asking National Treasury to provide additional funding to ensure that the Public Protector’s Office was properly equipped. He liked the roadmap for a clean audit. The internal audit needed to be boosted. Adv Bongo referred to the Public Protector Report on ABSA. He thought that the withdrawal had been an intelligent move, but that she should still pursue the Reserve Bank. She should not be deterred by the big issue that people had made about her instruction to Parliament. On a point of order, Mr Matiase stated that Mr Bongo was going against the grain when there was a court order and heads of argument and the Speaker had advised against it. The Chairperson asked Mr Bongo to explain. Adv Bongo said that he had heard the EFF, but it was a political matter that had to be pursued. The eyes of South Africa had been opened about the Reserve Bank and decisions had to be made as to whether anything was to be done about the Reserve Bank. Who were the shareholders and what happened to the money there? He asked when the State Capture had taken place. Was it before 1994 or after 1994? Who had prepared the State Capture Report? He had heard that consultants had prepared the report and that the Office of the Public Protector had had little to contribute to the Report. The Chairperson congratulated the institution on its unqualified audit but pointed out that spending had rocketed between 2015/16 and 2016/17 but because the current Public Protector had come in the middle of the MTEF, it was not clear to what extent she was to blame for the rocketing expenditure. She advised the Public Protector to see where she could make cuts and cap expenditure. It was problematic that the Office was actually insolvent. Were all the positions necessary? Could she not freeze some vacant posts? Could she not lease another building? She had not said anything about the Chapter 9 Forum. The Forum was very important to the Office of the Public Protector as, instead of working in silos, the Chapter 9 institutions could collaborate and reduce the work seeing that they were all working in a similar field. What about referrals? She should try by all means to make referrals to the relevant Chapter 9 institution to reduce the burden on the Public Protector. Parliament wanted to see that the Chapter 9 institutions performed different, specific, functions. Why were issues of labour and gender not going to the Chapter 9 institutions? It was disappointing to see that only 32% of the Public Protector’s staff were women. That had to change so that equality of gender was seen to be promoted by her Office. On systemic investigations, she noted that only one had been concluded, which was disappointing. Could she give the cost of that investigation? The Public Protector had made comments on the way forward, but the Committee was monitoring operational matters and not her personal opinion. The Committee had to be careful. She assured the Public Protector that the delegation of the Deputy Public Protector remained her competency. Mr Bongo had raised concerns about the ABSA report. The Chairperson noted that the Public Protector had burnt her fingers, but she assured her that the substance was important. She had been looking at what South Africa had that could be used as instruments to fight poverty. What was there in the contents of that report, that could be moved forward? Ms Mothapo asked for clarification about the Memorandum of Understanding with the Department of Justice and Correctional Services. Public Protector, Busisiwe Mkhwebane, addressed the request for a clean audit. She reminded the Committee that the previous meeting she had informed that Committee that obtaining a clean audit would be a hard task, considering the state in which the financials were at that point but she had aimed for a clean audit. The Office was working towards it. On the Reserve Bank matter, everyone knew that she had lodged an appeal to oppose the matter but she explained that the intention had not been to instruct Parliament but to advise. After discussing it with the legal team, she had decided not to contest the action. The intention had been that those matters should be looked into. The matter had gone ahead but she had not opposed it in court and the judgement was made. On the matter of lessons learned, she pointed out that the Public Protector’s Office was an ombudsman institution, established to make recommendations. It was a constitutional institution supporting democracy and ensuring that government achieved good governance. The Public Protector’s Office was intended to ensure good governance. However, the Nkandla judgement by the Constitutional Court, had changed the legal framework of the Public Protector as an ombudsman. The Constitutional Court had made remedial actions of the Public Protector’s Office binding. Thereafter, each Report issued, became binding and was not just a recommendation as was the case with other ombudsmen. That was the lesson that she had learnt. Subsequently, all reports were checked by the legal advisors. The Office was under scrutiny as the Public Protector’s Reports could be taken under judicial review. The State of Capture Report had been compiled by PriceWaterhouseCooper (PWC). She had indicated in her previous report to the Committee that PWC had been appointed to do the investigation and the risk diversion together with Simon Delaney. She, as the current Public Protector, did not use consultants as investigators but only for actuarial work and other professional tasks. The State of Capture Report had been investigated and compiled by consultants. The financial state of the Public Protector’s Office was a matter of concern, as was stated by several Members. She had been appointed in October 2016 and much of the spending had already been incurred. Increased spending on travel, especially foreign travel, had been incurred by the former Public Protector. The Office of the Public Protector had a policy of using public holidays to hold roadshows to promote access. Roadshows included travel by the team and the cost of catering. The former Public Protector had conducted roadshows, offered refreshments, and had utilised public holidays. She, as the new incumbent, had travelled to roadshows to introduce herself. She had not travelled abroad as there was a moratorium on overseas travel but she had travelled to Zambia, which had been compulsory for her, as she was a Board member of the African Ombudsman and Mediators Association (AOMA). On the victimisation of whistleblowers, and the criminal sanction of a whistleblower, Public Protector Mkhwebane said the amendment had to be maintained because it was an issue of the rule of law. If one acted on the statement of a whistleblower but evidence of the wrong-doing was non-existent, it would have implications and repercussions on people. People could not be accused of doing things when there was no evidence against them. One could not blame people for things that they had not done. Referring to her action in the State Capture case, she stated that, when the President had launched an application to suspend the implementation of the remedial actions, she had opposed that application based on the powers of the Public Protector’s Office because the lodging of a review did not suspend the implementation of remedial actions. The judgement had determined that remedial action was not suspended while the case was under review. The State of Capture case would be heard on 30 October 2017 and she would then proceed, depending on the judgement. She could not answer the question of whether the NPA was continuing with the investigation of the criminal conduct mentioned in the State of Capture Report. However, the matter had not been suspended, even though it was on judicial review, and the remedial action was still valid. The Public Protector addressed the question of the litigation costs. R500 000 had been budgeted for litigation but costs had risen to R6 million. The costs were as a result of the reports of the previous Public Protector. There were still 22 old reports pending, although her Office would not oppose all the reports. They were not opposing the Nelson Mandela Bay or the Telkom Reports. On the question of targets, the Public Protector replied that on joining the Public Protector’s Office, she had been permitted to change targets. Some targets had been discontinued owning to the lack of capacity to meet those targets. The Office had changed some targets to SMART targets and the service delivery measures had been approved. The Office had separated early dispute resolution matters from other cases as those would not need investigation, unless alternate dispute resolution failed. Every complaint received attention. Report writing required a great deal of analysis and then it had to be checked before being sent to the legal advisors. The Section 79 Notice was part of the investigation. The Section 79 Notice was sent to parties with the intention of getting more information from the parties. In the Free State Vrede Dairy Project case, information had been received and the Section 79 Notice had been dealt with, but then further information had come to the fore from the Free State government which needed to be analysed and so they could not rush to complete the report. She had promised that the Report would be issued, thinking that every area had been covered, but then the additional information had come to the fore. She informed the Committee that the travel expenditure had occurred before she had been appointed but, when she was appointed, her roadshows had added to the escalation of costs. She had created public interest and trust in the course of the roadshows. She had assured South Africans that she would be serving them without fear or favour and she had been well-received in those areas in the provinces. The people realised that the Public Protector’s Office was a safe haven for them to raise their concerns. On the remedial action in the ABSA case, she had never said that it was a typo. She had explained that she had never meant to capture it in a peremptory manner. She had since learnt that every Report had to be properly checked. The deficit and the consequence management would be addressed by her staff. Only recently, had the Office discovered that staff had been seconded from previous homelands and that they had capped leave, but money had not been set aside for that leave until someone retired. When staff had moved from the Department of Justice, around R10 million had been owing on the UIF. It had never been disclosed by the CEO or the CFO and an agreement had to be made with the Department of Labour to reduce that amount to R1 million. The Auditor General had not picked up those issues. The rental of buildings added to the deficit. OSD had led to additional expenditure of only R4.6 million. The Public Protector had decided to suspend certain administrative support posts to be able to have sufficient money to pay staff. Without the OSD payments, there had been a number of anomalies with people being paid more than senior staff and so it had been important to implement the OSD salary brackets. It also helped the Public Protector to retain staff. However, she pointed out that all of those were legacy issues. One of the reasons for irregular expenditure was that firms had been paid, but the report had not been received. That was an issue from before her time and was creating problems. Mr Matiase had raised the issue of the “over the barrel” matter and had indicated that the matter had not been responded to but she was willing to send copies of the responses to Mr Matiase to prove that they had responded. He had written in May and given them 30 days to respond, which they had done, indicating that that matter needed a lot of investigation but the Section 79 had been issued against the City of Cape Town which had requested an extension to 31 October 2017. She had granted the extension as she did not want to finalise a report and then find herself faced with issues of judicial review. The complaint raised against the Deputy Public Protector had been noted by Mr Bongo who had explained that the Deputy Public Protector had been appointed by Parliament and the President. She had had discussions with the Deputy to determine whether or not he was involved in the matter in Ekurhuleni where he had allegedly given instructions that R1 billion in irregular expenditure should not be investigated. The matter was part of an investigation by the Office of the Public Protector. A Section 79 Notice would be issued soon. The Deputy had been appointed by the President and she could not remove him from office. He had been re-allocated to training on investigations as many officials had not been trained on the investigation manual and quality assurance. In addition, he was teaching them the new report format. She appreciated the support of Adv Mpumlwana. She depended on the Committee, and also Parliament, to motivate and to assist her Office in acquiring additional funding. In response to Ms Mothapo, she explained that a lot of the money requested would be spent on investigation. She had provided a breakdown of the required funding. Their request had been reduced to R800 000 and no longer R1 million. In terms of consequence management, the CFO had been suspended and had left the Office, but a settlement had been reached. He had outsourced a lot of his work to Deloitte. He was no longer part of management but there were audit findings on his misstatements. The Acting CFO had been seconded to the Office of the Public Protector for 12 months from State Security. The Office had an audit action plan and every senior manager had to see that all invoices were signed on time and paid within 30 days. Unfortunately, invoices were often submitted late, especially by SITA, which made it seem that the Office had paid late. A case had been opened on the leaked CIEX Report and the investigation was ongoing. The leak was beyond her control as she had sent the Report to interested parties. The case was in the hands of the police and they would take statements from those implicated. She had signed the Provisional Report because it was a Section 79 Notice. A decision had been taken in the think tank that they would no longer send Provisional Reports but would send Section 79 Notices. Section 79 Notices would only be sent to the implicated parties as her Office had found that a lot of the leaks came from copies sent to the complainants. Furthermore, information received in terms of Section 79 could sometimes change the report and it was possible that the matter would no longer be decided in the favour of the complainant. The Provisional Report had been sent to the President as he was expected to implement one of the remedial actions, i.e. to appoint a judicial commission of review to look into other apartheid-related matters. Provisional reports were no longer sent to complainants. A provisional closing report had been sent to Mr Waters and a case had been opened against him. The case had been transferred to Cape Town without her approval and she had requested that it be sent back to Pretoria where she had opened the case. Her Office was striving for a clean audit. Consequence management would have to deal with that. The Auditor General had asked for explanations and they were looking into the findings. The media target had been removed as there was no measure for it. National Treasury had had a PR company that had measured such communication, but they were not using that consultancy. The Public Protector Office was not using a public relations firm. Her Office had broken down the costs for which funds were required and the biggest cost was for investigative staff, which was core staffing. In reply to the number of reports under review, she had issued 17 reports of which five were under judicial review. The MoU with SALGA had been signed as her staff would need to use municipal buildings when they were doing outreach work. Her Office was also finalising agreements with CoGTA and DOJCS to be able to utilise their premises. Her Office had to identify the areas where they would need office accommodation and she was adamant that it would only be in rural areas. She told Mr Bongo that the damage to her house was under investigation as a case had been opened. On the water damage to the office, calculations had not yet been done as the office had been rented through Public Works. When the Committee had previously recommended that her Office should procure instead of lease, she had written to the Minister of Public Works and suggested that they part ways so that her office could proceed on its own. It was quicker to procure than to lease. That had been the case in the Free State where the office had been leased on a month by month basis, as was the case in Pretoria. That arrangement could be identified as a risk. However, it was an issue of money. Once the financials had been resolved, her Office could continue on its own and she believed that the savings would be significant. There was a moratorium on filling support staff posts. She informed the Chairperson that she was working closely with the Forum for Institutions Supporting Democracy which met once a month in the Public Protector’s Office. They had drafted the terms of reference for referring cases, which they were already doing. Her Office had 16 systemic investigations but only one had been completed as a formal report took a lot of time. They had been involved in interventions. There had been a lot of debate in the cases of Home Affairs and migration as well as RDP housing. There were many complaints and it became a systemic investigation that did not address only one person or province. Ms Breytenbach asked if her questions were to be answered. One was the question about ordering the Chairperson to amend the Constitution. Who had provided such disastrous legal advice? Secondly, the covering letter sent to the President had referred three times to a Provisional Report and not a Section 79 Notice. Adv Swart asked for a response to his question about the reference to “the” political party, although he assumed that it was the majority party. Why had attorneys withdrawn from representing the Public Protector in the ABSA matter set down for December, and how much were legal fees? Had the attorneys withdrawn as a result of financial constraints or because the attorneys had a differing opinion? Had she been able to establish why the attorneys had withdrawn from representing her? Which firm of attorneys was it? In view of the serious concerns about accounting firms such as KPMG, Mr Bongo asked whether the State of Capture Report was valid as it had been drawn up by an accounting firm. On a point of order, Adv Swart stated that the Public Protector had signed the report herself and the Member was therefore casting an aspersion on the integrity of the previous Public Protector. The investigation and report had had the approval of National Treasury and the funds had been allocated. The report had been signed off by the Public Protector. There was no report by PriceWaterhouseCooper (PWC). They had been used as consultants. He therefore asked the Member to withdraw his statement. Adv Mpumlwana interjected but the Chairperson explained that Mr Bongo had to be given an opportunity to explain. Mr Bongo replied that there were queries about the integrity of KPMG and so they could not rely on a report by PWC. Adv Swart stated that there was a massive difference between a report by PWC and one signed by the Public Protector, even if she had used a consultant. Mr Bongo was casting aspersions on the former Public Protector. Adv Mpumlwana stated that a donation of R5 million had been given to PWC to undertake the investigation. The Chairperson informed Adv Mpumlwana that the Committee could not debate something about which they did not have sufficient information or proof. She asked if the Public Protector could verify his statement - but she could not. The Chairperson made a ruling that Mr Bongo had to withdraw his statement. Mr Bongo asked to move to his next question. Adv Swart asked that the Chairperson enforce her ruling. Mr Bongo replied that he had asked a question and not made a statement. He wanted to continue with his next question. Adv Breytenbach interjected saying that she would also ask her outstanding questions. Ms Mothapo moved the meeting forward by asking the Public Protector to unpack the contingent liability and also the outsourcing of investigations. The Public Protector had said that it had happened before but what was happening at the current time. Could she unpack for the Committee the OSD and the internship or temporary investigators. What was their status? The front part of the office in Mpumalanga was acceptable but not the back part of the office. Telephones were a problem there because there were no telephones in the consultation offices. Mr Maila asked why there were follow-up questions when the Public Protector’s team had not answered all questions. There was a problem with the culture of thinking prematurely in the Committee. He said it was the culture of that Committee that some questions could also be answered in writing. The Chairperson emphasised that false disclosure was now a crime in South Africa as false disclosures caused confusion and destroyed people’s lives. She told the Public Protector that the Committee was not saying that she was not permitted to travel overseas. The Members had thought that the travel overseas had been done during her tenure. Although she had been travelling outside South Africa, she was not responsible for those expenses. She should travel overseas if her Office required her to do so and there was funding. On the review of Public Protector Reports, the Chairperson asked what happened to people who did not have the finances needed to apply for a court review of a Report. Had she ever come across such instances? Public Protector Mkhwebane explained to Ms Breytenbach that there had been no legal advice when she prepared the ABSA Report. It was only the work of the investigating team and there had been no quality assurance of the Report, although the process was now in place. The ABSA Provisional Report had been sent to the President as he was required to deal with judicial enquiries relating to other Apartheid matters. The previous Public Protector had made use of the term “Provisional Report” in terms of Section 79, but it was correctly called a Section 79 Notice. She asked to submit a report in response to Mr Bongo’s query regarding PWC. She explained that the State of Capture Report was a Public Protector Report, although the former Public Protector had outsourced part of the investigation. She, personally, would never outsource an investigation. The deficit was the result of legacy issues. The deficit had not been disclosed by previous CEOs and they had never picked up that there were staff on secondment who had back pay due to them. All investigators had been put on the new OSD pay structure. The OSD included the investigators who had complained. The Office had given them their letters and they were on their new structure. They had received back paid for three months. To deal with staff morale, she had taken a decision not to advertise externally for posts below Level 11. Posts would be advertised internally to promote career development of people who had been trained. The issue of the false disclosure would be dealt with. Individuals did not take the Public Protector Reports on judicial review. The Public Protector’s Office was usually taken to court by institutions or government departments. She was trying to avoid court cases by requiring government departments to disclose by issuing them with a Section 79 Notice. She told them that she helped them to shine, or to do their work, when they provided information. The Public Protector’s Office had no grounds to appeal the recent judicial review judgement in the National Empowerment Fund (NEF) matter that had gone against the Office of the Public Protector. Adv Breytenbach indicted that a question had not been responded to. The CEO responded to the request to unpack the deficit. He referred Members to page 107 of the Annual Report. The figure of R18 million was a non-cash figure. The only cash portion of the deficit was R6 million. The CFO stated that the financial statements had been combined on the basis of accrual accounting which obliged the Public Protector’s Office to itemise them as disclosures and not as payments. Other provisions included in the deficit were the contingent liabilities. The liabilities were not necessarily cash in hand. No money was required to pay those amounts. Depreciation involved no payment as it was just an accounting evaluation of the assets. The Chairperson thanked the Public Protector and she was sorry to hear about the office roof leakage. She was worried about records as the media had suggested that there had been no back-ups. Back-ups of records were critical for such offices. At no point should such an institution find itself wanting in terms of such information. She was sorry to hear about the house breaking at the Public Protector’s home and hoped that security would be stepped up. Outstanding questions had to be submitted in writing. She asked Adv Breytenbach to refer to her outstanding questions, using a label and not repeating the questions. Adv Breytenbach refused as she had asked the question twice and there was clearly a reluctance to respond to the question. The Chairperson suggested that perhaps the Public Protector did not have a response to hand and asked that Adv Breytenbach put it in writing. Adv Breytenbach agreed but she objected to the fact that the Chairperson had not insisted that the Public Protector answer her question. The Chairperson warned her that the question in writing had to be the exact same question that she had asked in the meeting.